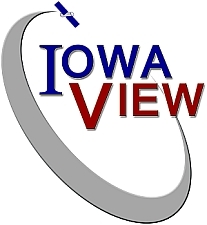 This post will describe the second workshop the ISU GIS Facility and IowaView hosted as part of the 2017 Iowa 4-H State Conference, “Start Your Future Here.” The second workshop, “Start Your Open Street Map Adventure Here,” gave students a brief introduction to GIS and remote sensing as well as a short discussion of open street map and its interface. Then 4-Hers were asked to practice using the mapping interface through the TeachOSM application. 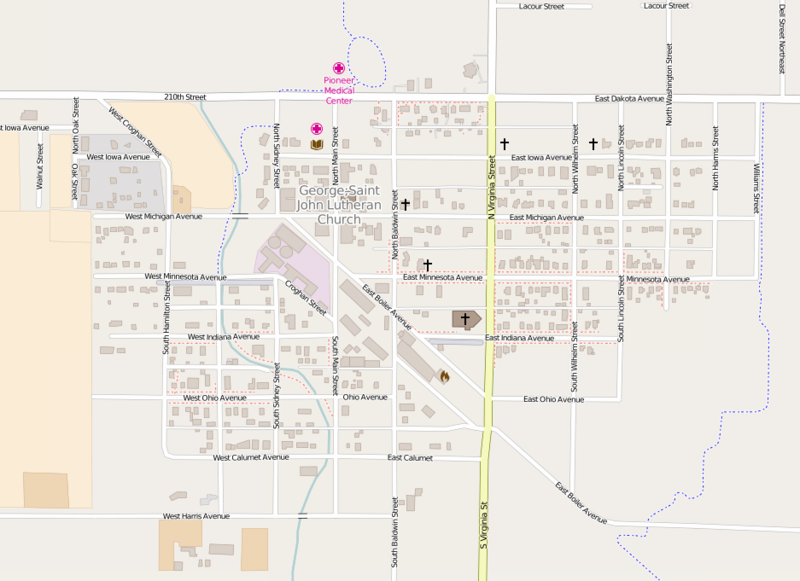 The group started by mapping a small northwest Iowa town, George. As you will see from the screen shots, the 4-Hers made significant progress for this community, mapping over 400 buildings. Comparing the before and after pictures, notice the large number of buildings added in the central and northeast parts of town. 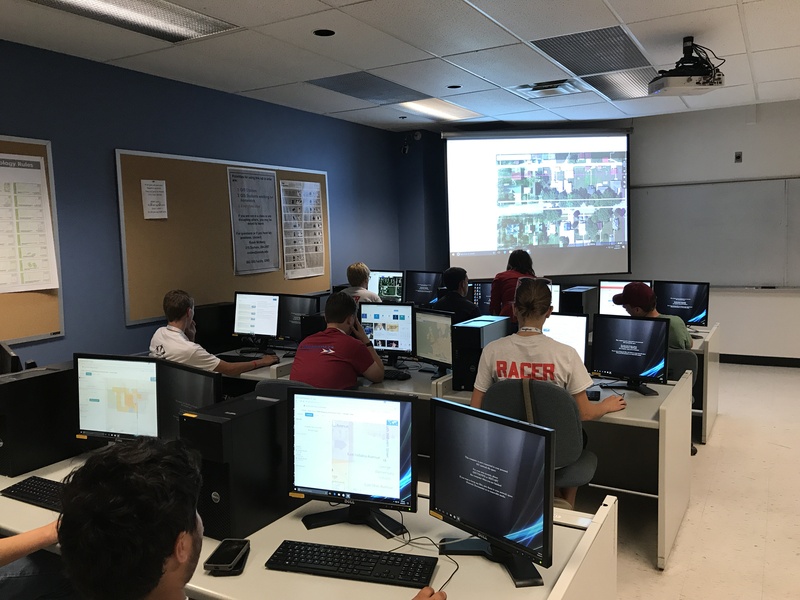 For the second activity, students worked on a project sponsored by the United States Geological Survey (USGS)’s Volcano Disaster Assistance Program (VDAP) to help map communities near active volcanoes. 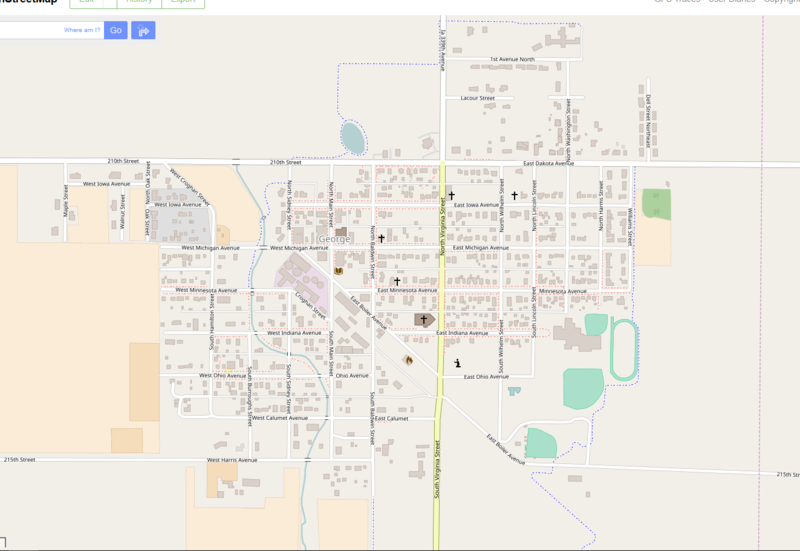 the 4-Hers mapped roads, buildings, and rivers in several small communities near Mt. Galeras in Columbia as part of their emergency preparedness. According to project description , “Galeras is an active Andean stratovolcano that is located in the Narino department, near Pasto (population: 450,000 Colombians). 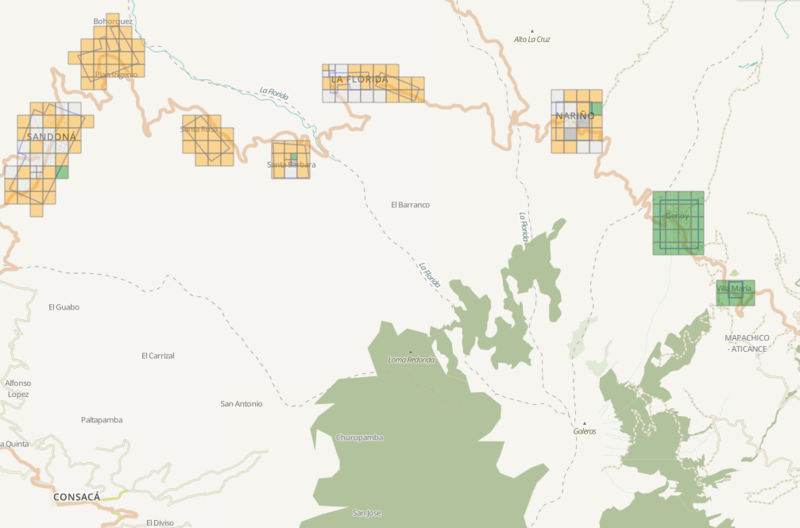 Galeras is the most active volcano in Colombia and is known for regular eruptions, the most recent occurring in 2000, 2002, 2004, 2005, 2007, and 2010.” The students did a great job mapping with both projects. Between the two projects over 500 nodes were created and over 3,000 nodes were created. Hopefully these activities will lead to future mapping interest.